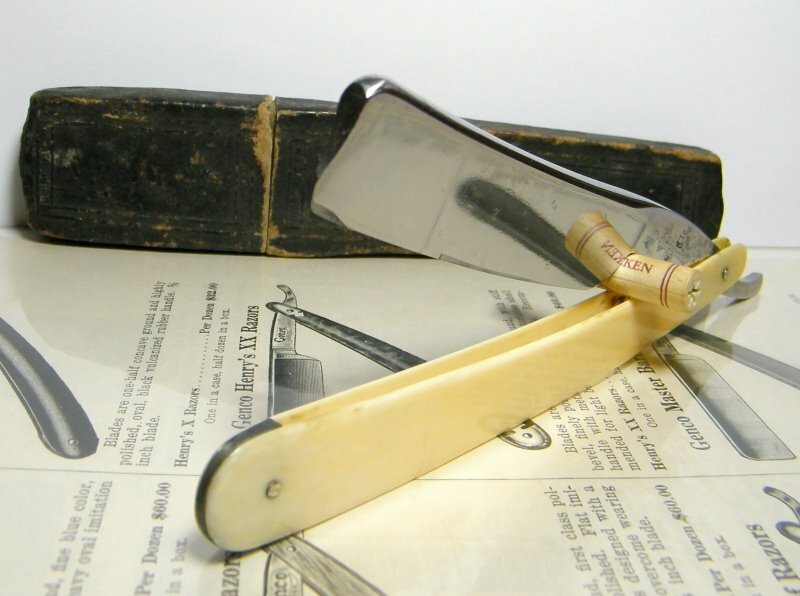 STRAZORS.com - all about classic razors - Brookes & Crookes, Sheffield. In 1858, John Brookes was joined by Thomas Crookes and they acquired a warehouse, workshops, engine-house, and grinding wheel behind a nouse at No.58 St. Philip's Road. The factory, Atlantic Works, was previously the address of Thomas Wigfall. 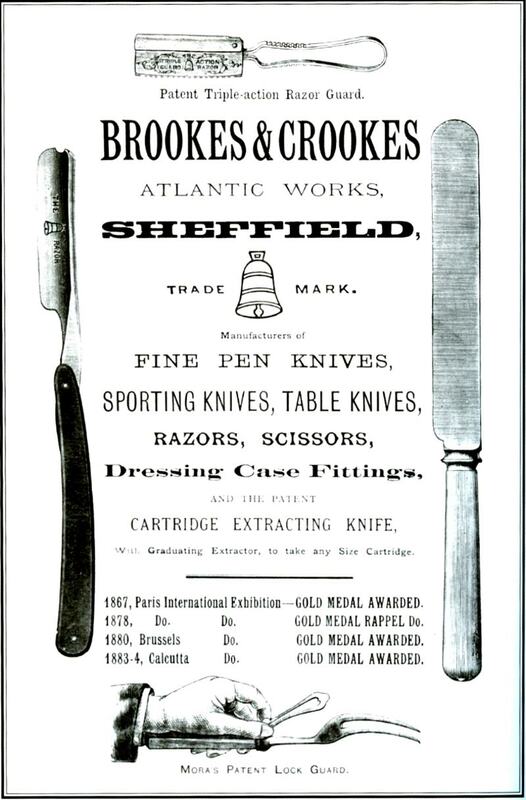 In 1859, Brookes & Crookes appeared in Melville's Commercial Directory of Sheffield as manufacturers of spring knives and dressing case instruments. John Brookes died on 14 February 1865, aged only 39. Thomas Crookes took over the business. He had little direct experience of the cutlery trade and left the running of the works to his manager, William Westby. He had become a partner in the firm after the death of Brookes in 1865. Brookes & Crookes was never amongst the largest cutlery factories in Sheffield - in the late 19th century, the number of hands was not much more than 150 - but what Brookes & Crookes lacked in size, it made up for in quality, with its "Bell" trademark soon becoming a badge of excellence. The last family chairman and director, Herbert Crookes, died in February 1954. In 1957, Atlantic Works was closed. But the firm was formally liquidated in 1964.